This app extends UCS with Fetchmail, a mail retrieval and forwarding program. Mails are fetched from remote mail servers and forwarded to the local delivery system. Fetchmail can be run as a service to constantly pull emails from multiple servers at a specifed interval. The configuration is done per user in the UCS management system. The fetchmail app can not be installed in parallel with Open-Xchange App Suite, because the app already provides its own fetchmail integration. 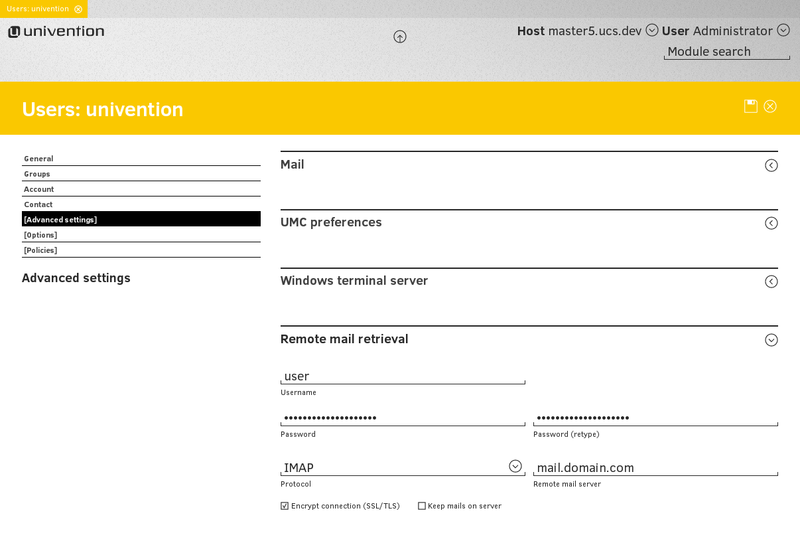 Download UCS and activate Fetchmail directly from the App Center.